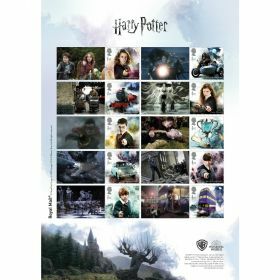 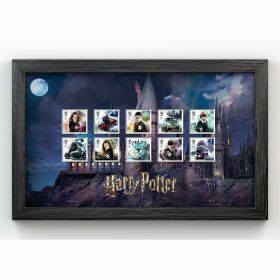 This collection of 10 magical stamps features favourite characters and iconic wizarding transport from the much loved series of Harry Potter films. 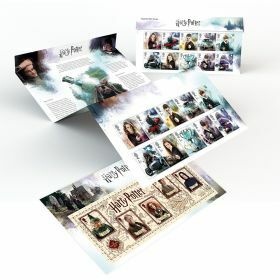 10 unique Special Stamps featuring favourite characters Harry, Hermione, Ron, Ginny, and Neville Longbottom plus selected portkeys and iconic transport from the Wizarding World – including the Hogwarts Express, Hagrid’s motorbike, the Knight Bus and the Triwizard Cup. 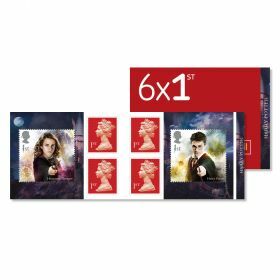 Stamps are presented in two horizontal se-tenant strips of 5.